The Ballets Russes caused an earthquake upon arriving in Paris in 1909. It’s much less well known, however, that Russian dancers – primarily Anna Pavlova – created a stir in Germany (then a ballet diaspora) just days before. Although the first tour of the Imperial Russian Ballet to Berlin in 1908 had been cut short due to limited public interest, Pavlova and her colleagues were enthusiastically celebrated by critics and audience alike one year later. Tickets for their first performance at Berlin’s Royal Opera (today’s Oper unter den Linden) were reserved for those in the cultural elite: authors, critics, actors, and members of the Berlin Secession, a group of artists that opposed the academic art politics of the Wilhelmine era. 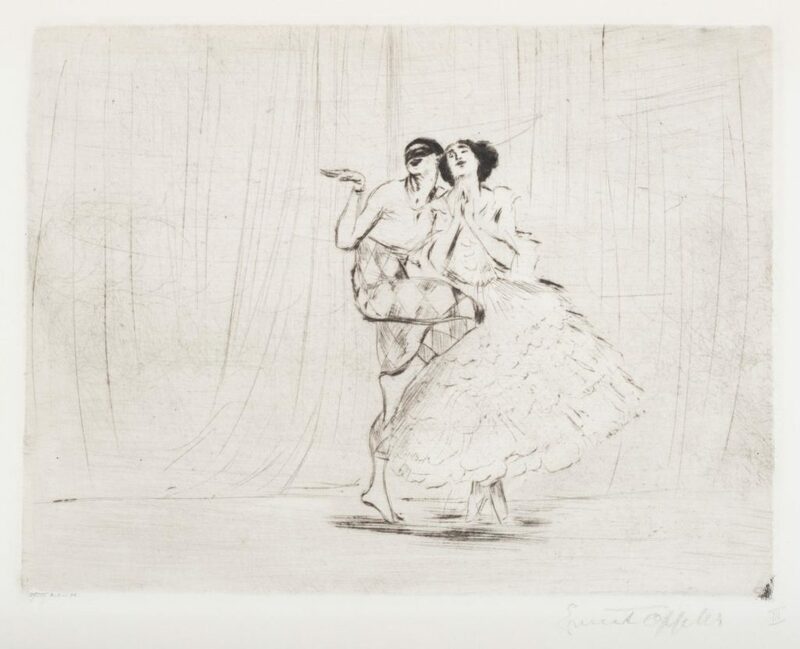 For painter Ernst Oppler, the performance on May 5th, 1909 was a turning point in his career – a career that would become the focus of “The Painter Ernst Oppler – The Berlin Secession & The Russian Ballet” by Frank-Manuel Peter, head of the German Dance Archive Cologne. In his early years, Oppler (1867 – 1929) was mainly known for his portraits of elegant figures, bourgeois interiors, and genre paintings. His dealings with Max Liebermann and the Secession group in Berlin catalyzed Oppler’s rapid artistic evolution towards impressionism. However, Oppler was a traditionalist, never developing an appreciation for expressionism or the avant-garde. 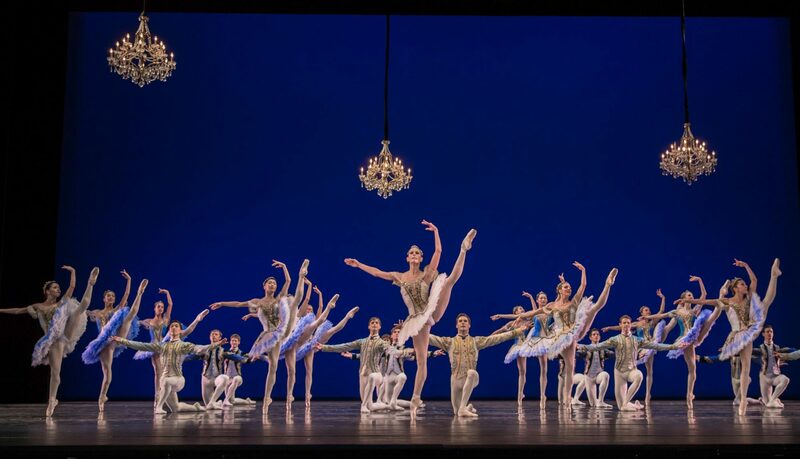 After seeing Pavlova perform, Oppler decided to make stage dance a core theme of his work for the final twenty years of his life. In contrast with Edgar Degas, Oppler depicted not the genre “ballet” and “ballerina”, but instead the personalities of the dancers, in dance and movement itself. His fascination with movement reached beyond the stage to, for example, the tennis court, the boxing ring, and the race track. Typically, dancers posed for painters in the studio. 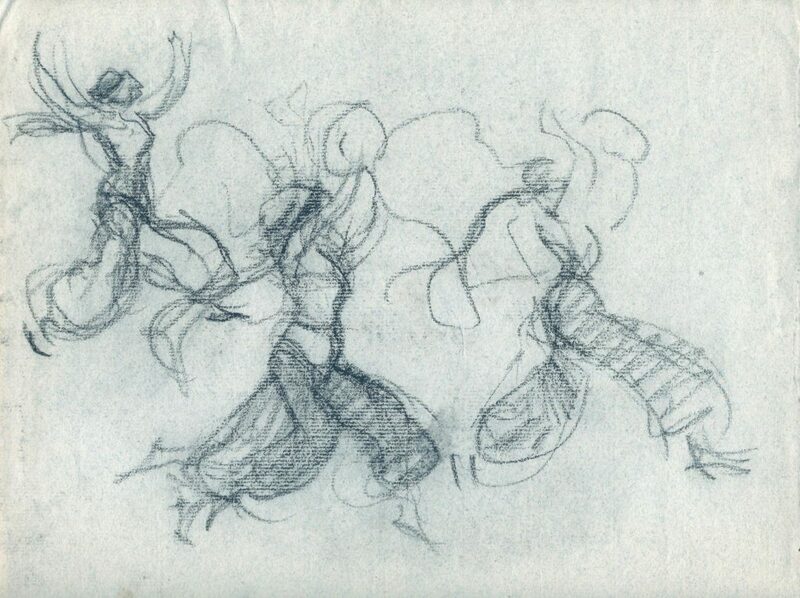 This was not the case with Oppler, who, equipped with an illuminated pencil, sketched his subjects in action, during rehearsals or performances. 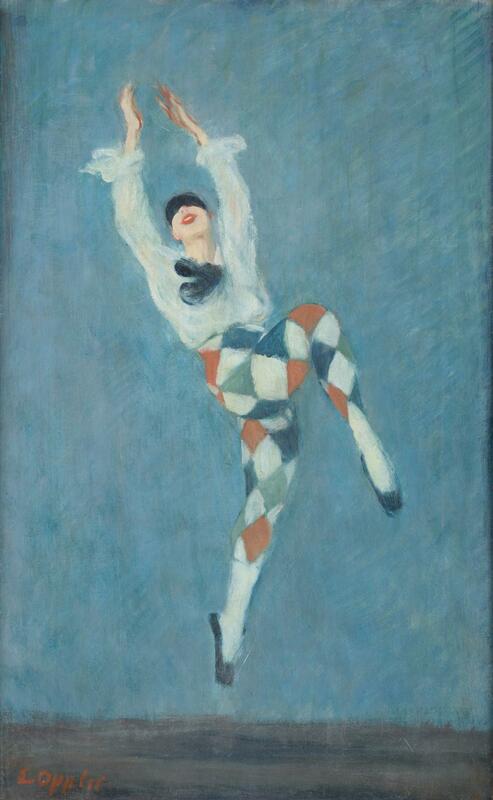 Pavlova, Nijinsky, Karsavina, Bolm – he painted them all. One drawing shows a rehearsal of the world premiere of “La Légende de Joseph” in Paris in 1914. At that point, Nijinsky had left the troupe and had been replaced by Massine in the role of Joseph. The studio wall is lined with prominent figures: Diaghilev, Richard Strauss, Hugo von Hofmannsthal, Fokine, Benois, Bakst, Otto Klemperer, Misia Sert, and others. A formidable record of ballet history! Oppler knew Pavlova well, drawing her on a multitude of occasions. Of these drawings, the sketches are stronger than those that have been fully realized. After following the Ballets Russes for four years, Oppler turned in 1914 towards the other dancers, portraying, among others, Leni Riefenstahl, Alexander Sacharoff, and Josephine Baker. But why wasn’t Oppler’s work recognized by the public until much later? Oppler was Jewish. After his death, his works were bequeathed to his three younger brothers. The final exhibition took place in 1937 in Berlin’s Jewish Museum Berlin. Although the National Socialists didn’t consider Oppler’s paintings to be “degenerate”, which saved them from being confiscated or destroyed, they could not be shown in public. Over the years, the works were either given to museums, lost, or kept by the family. Oppler receded into oblivion – until one man dove deep into the historical record and drew Oppler from its depths. In 1990, Jochen Bruns, a German art historian, submitted his dissertation on Oppler to the University of Hamburg and organized an exhibition in Israel. In order to earn his doctorate, Bruns simply needed to publish his dissertation, a three-volume work that included Oppler’s biography, a catalogue raisonné, and prints. But it was not to be, for the resolution of the photos that Bruns had taken was far too low to produce prints of even decent quality. Bruns died in 1994 at the age of thirty-seven without finalizing his doctorate; the manuscript was kept by the publishing house. Years later, however, the German Dance Archive suggested that the dissertation be published on CD, which would avoid quality loss through printing and minimize costs. Soon, the idea was realized, and in 1997 Bruns’s posthumous dissertation was the first in the visual arts to be published in digital form. 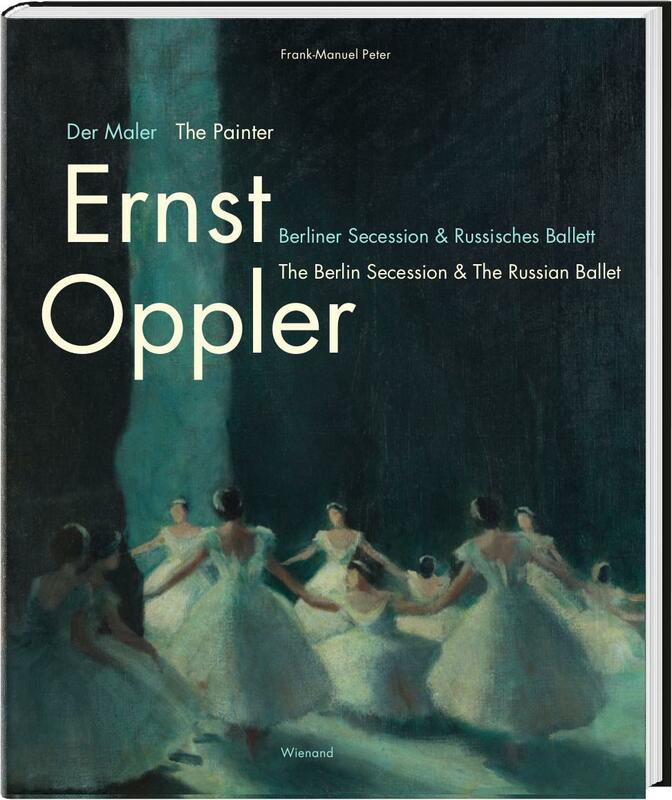 “The Painter Ernst Oppler – The Berlin Secession & The Russian Ballet” is an anthology compiled by Frank-Manuel Peter and the German Dance Archive in celebration of Oppler’s 150th birthday in 2017. The texts are presented in German and English. 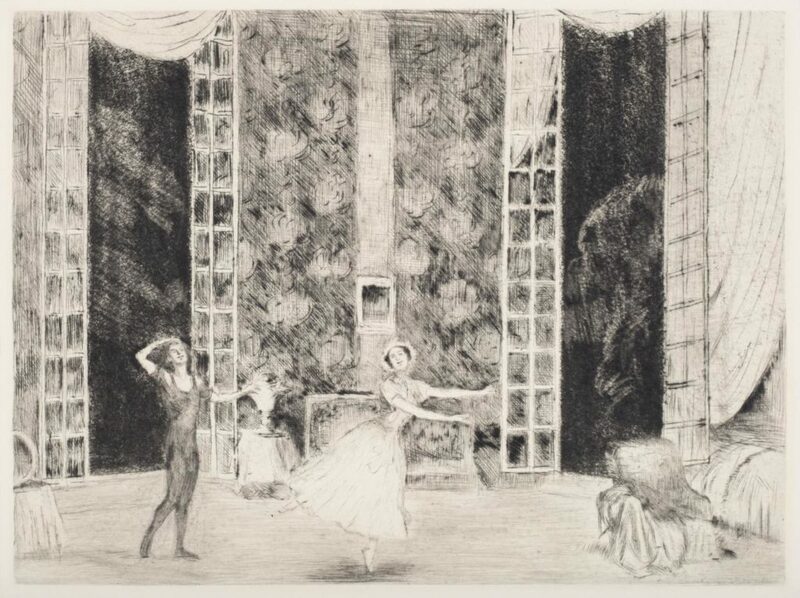 It has been accompanied by a retrospective exhibition that runs until January 28th, 2018, assembled from the more than 2,000 sketches, drawings, and etchings by Oppler that are owned by the Dance Archive and available for research.